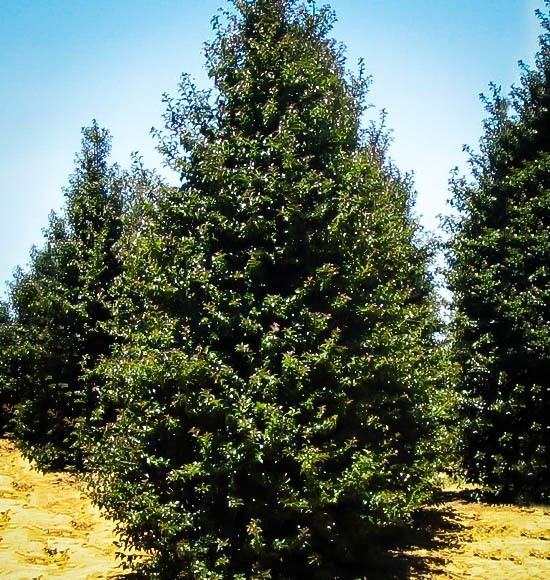 Holly trees are among the very best of evergreens, but they can grow wide and need a lot of trimming. Not the Dragon Lady Holly! 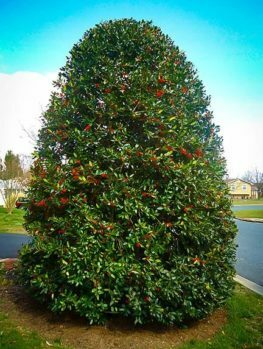 This beautiful tree forms a narrow pyramid as much as 20 feet tall, but only four or five feet wide, meaning it will fit into spots where other hollies cannot venture. If you need the density and richness of a holly tree but don’t have much space, the Dragon Lady Holly is here to rescue you. This tree keeps its narrow form without any trimming and is always glossy and green at all seasons. 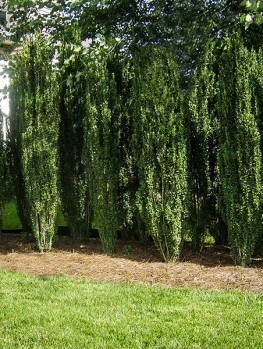 It is drought-resistant once established and will thrive in shade as well as sun. 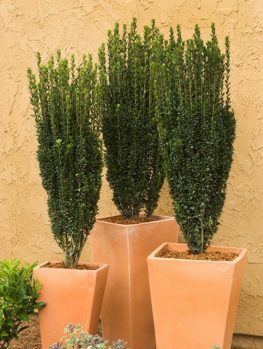 This tree is the perfect choice for the smaller garden or those narrow spots that are so hard to fill. Choosing plants for your garden, whether it is new or established, can be both fun and frustrating – especially with so many different varieties to choose from within just one family. 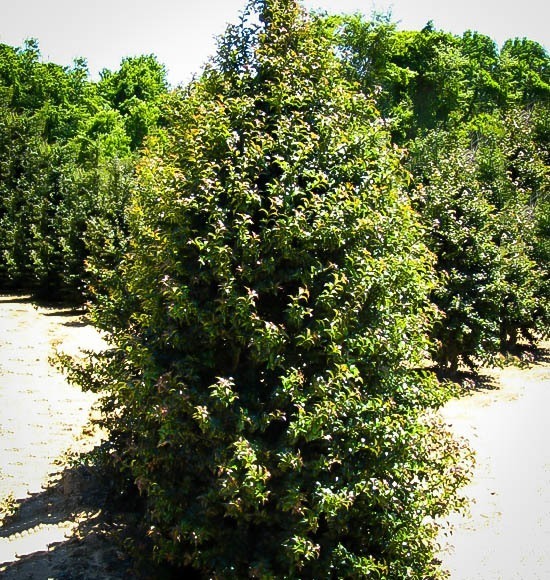 We have endeavoured to pick the best examples that are low or relatively low maintenance and this ‘Dragon Lady’ holly is certainly one of those. Adding highly structured plants to you garden is a perfect way to balance some of the more unruly and less disciplined plants you may have, while adding interest of their own with fruits, flowers or interesting foliage. From a distance you might mistake this particular holly for an exceptionally perfect Christmas tree, but on closer inspection its lovely dense foliage is the instantly recognizable holly with its deeply spiked and glossy leaves. 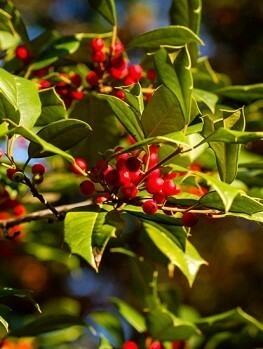 When bearing the bright red fruits in fall and winter it evokes childhood memories of every handmade Christmas card adored with springs of holly that you ever made for grandma and grandpa. Being a female plant – as you might have guessed from the name – in order to see your ‘Dragon Lady’ produce the tiny red globular fruits for which holly is so famed, you need to plant a male variety somewhere nearby, if not alongside. A recommended variety to pollinate this plant is the Blue Prince Holly, which can be found elsewhere on this site. Of course, you could also peer over your neighbor’s fence to see if they have one lurking on their property somewhere, but if not then the only way you are likely to see those bright, shiny and wintery berries is by ensuring you have one of your own. Choosing a position is not the chore you might imagine it to be as these are quite tolerant plants. Full sun is preferable for a dense form as too much shade will cause the leaves and branches to spread, creating a more leggy appearance. This said, if you are in a particularly hot area then it would not be adverse to a little cooling shade in the afternoon in order to give it a break. 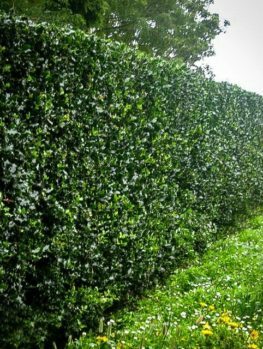 ‘Dragon Lady’, like other holly bushes, likes acidic soils that are well drained, so wet and boggy areas must be avoided. When planting out it does not hurt to add a little peat moss or sulphur rich compost; this can be done again at the end of winter. If you decide to plant in a windy area then there are plenty of products that can be purchased to spray on the plant in order to protect against browning of the leaves. Caring for these plants is actually rather easy and they are not at all demanding. You might imagine that in order to obtain that conical shape you have endless hours of pruning and prickle scratches ahead of you, but with no intervention whatsoever ‘Dragon Lady’ will form that shape by herself. It is not unheard of for the plant to develop bald patches, and the best way to prevent this happening is to prune the holly back when still young. 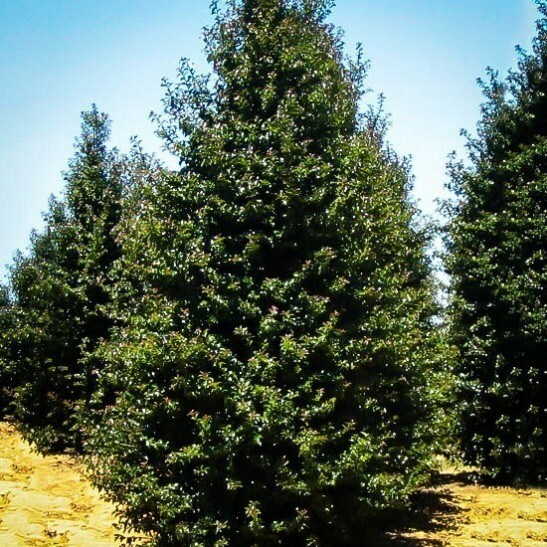 You might lose a little growth for a couple of seasons but it will improve the chances of uniformly dense foliage for years to come. 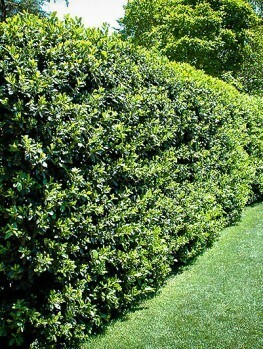 These plants can be trimmed in the summer months in order to further neaten the shape and create a cleaner outline; just be sure to wear gloves and protect your forearms, or else you might find yourself bearing wounds for your trimming troubles. 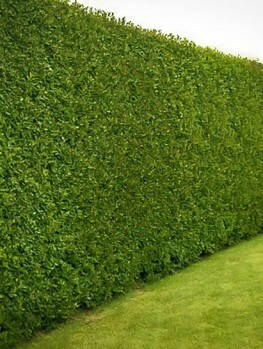 If you choose to prune properly then do so before the new growth appears in very early spring. 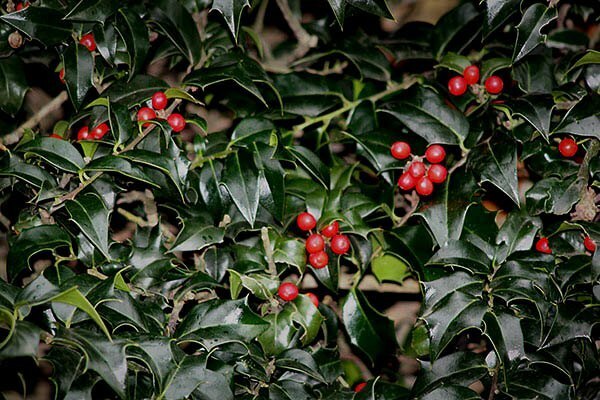 The holly bush is naturally found in Western Asia and Europe but has its roots firmly placed in botanical history, with its ancestors appearing 66 million years ago. It is generally found forming clumps and clusters in shady places and is quite fond of untouched or recovering earth, which is why it is often referred to as a pioneer plant, being among the first to re-appear in deforested areas. As a very adaptable family it can be found in a multitude of places from forests to cliffs and mountain gorges. 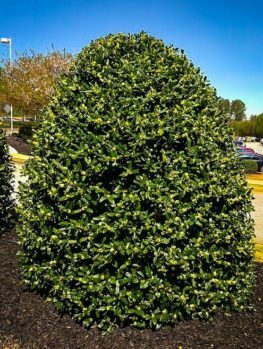 This is an easy to grow and impressive plant that, without any intervention from you or anyone else, will give the impression that many hours have been spent shaping this pyramidal wonder. With only the smallest of efforts you can refine its strong looks, but it is not remotely necessary to do this unless you have a particular shape in mind. A fabulous and shapely addition to any landscape and it will compliment a good many plants around it.